In today’s marketplace, the spotlight on collaboration has never been brighter. Effective collaboration creates far-reaching benefits for both businesses and employees. Many people contend collaboration technologies are most effective when used in a physical on-site setting such as meeting rooms and huddle spaces. While on-site collaboration is important to the overall success of a business, collaborating with remote workers should be a top priority as well. Let’s explore the impact of collaboration technology and how leveraging video conferencing to connect remote workers with on-site colleagues can increase productivity and overall workflow efficiency. As video conferencing technology continues to evolve, new and exciting ways to communicate and connect employees and clients are being discovered. Through the use of video conferencing, physical location is no longer a barrier. The antiquated idea that the best teamwork occurs when people are in the same room has been disproved, and with the number of millennials in the workforce increasing, so is the number of remote workers. The fact that employees on the same team or working on the same project can be hundreds—or even thousands—of miles apart certainly reinforces the need for video conferencing and other collaboration technologies. Effective collaboration consists of more than phone calls and emails. While email and phone calls are effective means of communication, for remote workers to feel fully connected, they require a more inclusive and real-time form of interaction. Collaboration technology such as video conferencing enhances team connectivity and offers a unique opportunity to enhance the quality of communication. Video conferencing enables real-time visual and verbal interaction between remote workers and other team members, regardless of physical location. Remote workers who use video conferencing on a regular basis are more productive and engaged with their work and also enjoy enhanced connections and communication with management and other senior company leaders. On-site employees have access to management every day they are in the office. However, with the number of traditional employees decreasing and the number of remote workers increasing, having access to management personnel and teams isn’t as simple as knocking on their office door. Video conferencing is a great tool that offers remote workers real-time access to management using scheduled and impromptu video conferences. 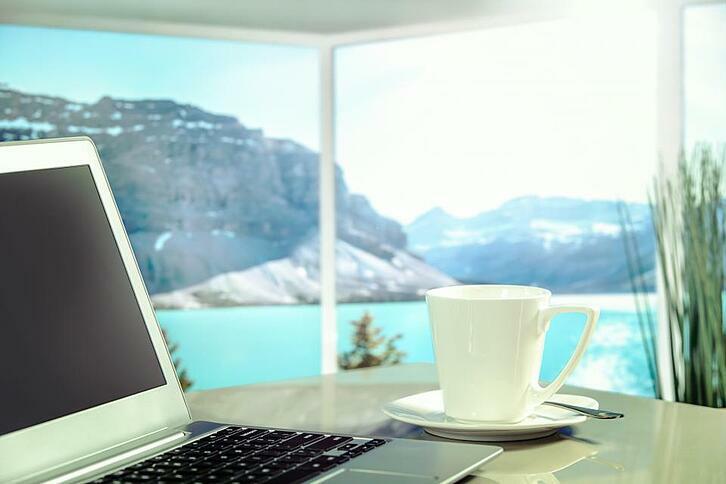 Giving remote workers direct access to management increases the feeling of inclusion and ensures that both on-site and remote employees are working toward a common goal. The recent surge in collaboration technology has flooded the market with options. In order for your business’ collaboration tools to function at a high level, it’s critical to understand what employees need and want in a collaboration platform. For starters, collaboration technology only works when employees use it. This seems obvious, but choosing a platform that has a confusing interface and complex functions will ultimately hinder employee use. However, choosing collaboration technology with a clean, easy to navigate interface will encourage employees to use these tools. Another important consideration when choosing a collaboration platform—especially for remote workers—is integration and compatibility. Choosing collaboration tech that will work with existing tools will go a long way to ensure seamless integration. For remote workers, having software that is compatible with the technology they already use is paramount for success. Since collaboration technology has become a necessity, many businesses have focused on creating physical collaboration spaces. While such facilities such as huddle and meeting rooms are still useful and relevant, new collaboration technology has encouraged companies to look beyond the boundaries of the physical office. While the number of remote workers continues to increase rapidly, companies are beginning to use collaboration technology such as video conferencing to enhance communication between remote workers, on-site employees and management. Using the right collaboration platform will completely transform for the better how remote workers interact with other employees on a daily basis. It’s time for businesses to seriously consider adopting collaboration technology and the many benefits it provides your remote workers.